Data is changing everything. Many industries today are being fundamentally transformed through the accumulation and analysis of large quantities of data stored in diversified but flexible repositories known as data lakes. Whether your company has just begun to think about big data or has already initiated a strategy for handling it, this practical ebook shows how to plan a successful data lake migration. Do you have the tools and data architectures to support big data analysis? Are your people and processes prepared? 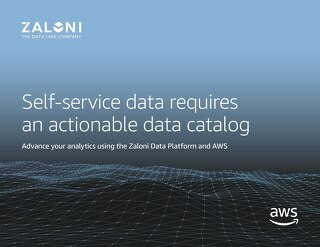 Zaloni’s data lake maturity model will help you rate your organization’s readiness.